UPDATE 12/31/2018 – DAM is officially closed to allow water level to rise. UPDATE 10/13/2018 – The DAM is officially open to drop the lake level. UPDATE 9/30/2018 – Final DAM Gate and Vault repairs have been completed as of today. Lake level will remain. Opening of the DAM will occur Columbus Day, Monday, October 8, 2018! Starting the weekend of September 15-16th, DAM gate replacement work will begin. The goal is to plug the inlet side pipe with a specialized plug, drain the vault, and perform the necessary work. If all goes well, this will allow the lake level to remain up until Columbus day, Monday, October 8, 2018. ****NOTE: If the plug fails, DAM will be opened around September 15-17th. If this occurs a notification will go out via emails (currently on hand), website and BPA Facebook’s page. 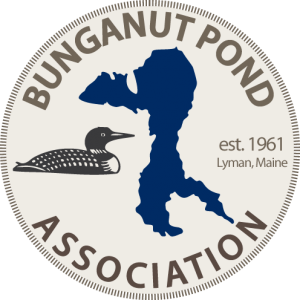 Want to join the Bunganut Pond Association? Fill out a Membership Application today!